How does one find work in computer forensics? What types of organizations offer work in the field? What certifications and qualifications do they require? In this section, explore the necessary steps towards acquiring a job in computer forensics. The first step, find organizations that are hiring Certified Forensic Computer Examiners (CFCE) or equivalent positions. Next, review that organization’s requirements and other qualifications that may increase your chances of acceptance and success. Finally, acquire the certifications and qualifications necessary and begin the application process. This process may be expedited if qualifications or experience in cybersecurity already exists. How can you find job opportunities in computer forensics? Use the same channels and services for finding work in computer forensics that is used for finding other kinds of work. Google automatically provides recommendations for computer forensics jobs, and recruiting sites like Indeed and ZipRecruiter which already have many positions in computer forensics up for application submission. If you already have an organization in mind, such as a law enforcement agency, research the role on their website or contact their personnel department directly. What organizations hire computer forensics professionals? Much like the cybersecurity field in general, there are private organizations that hire out the services of computer forensics experts as well as public organizations that employ computer forensics in law enforcement. Local, municipal, and federal governments employ computer forensics professionals in civil suits and criminal investigations. 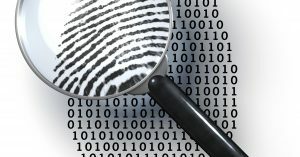 Computer forensics investigators may work to prepare evidence for courts of law or provide evidence for law enforcement agencies. A cursory glance at some job-finding and recruitment sites reveals many opportunities for computer forensics both public and private. What qualifications do these organizations require? In general, these organizations can require professional certification in computer forensics. As we explored in earlier sections Is it difficult to enter the Forensics field?, attaining CFCE certification through IACIS can qualify you for computer forensics positions at a wide variety of organizations. A bachelor’s degree in computer forensics or cybersecurity can qualify you as well, but attaining professional certification in combination boosts your chances. Professional experience in cybersecurity and/or law enforcement can grant you some opportunities as well, and you may be able to use experience in software development towards malware analysis. A bachelor’s degree, professional certification, and related professional experience in concert will qualify you for most positions in computer forensics. To review, getting a job in computer forensics is a matter of knowing where to look and having the proper qualifications. By utilizing standard recruitment channels we can review what kinds of organizations hire computer forensics experts as well as their current job opportunities. Attaining qualifications is a matter of professional certification through the IACIS, certifications in related fields, a bachelor’s degree in a related field, or equivalent professional experience. It’s crucial that you review the organization’s requirements for the position, and it can help to have extra qualifications not listed on the recruitment page. Regardless, these steps can guide a qualified applicant towards work in computer forensics. Patience and creativity can help you find opportunities you’d otherwise miss. TL;DR Find your organization through recruitment channels and review their requirements. If needed, attain any necessary qualifications and send them with your application.